Germany lies at the heart of Europe. More than 80 million people live here – the most populous country in the European Union. Germany is one of the European Union’s founding members and works to promote closer integration among the countries of Europe. The landscapes of Germany are diverse and charming. On the North and Baltic Seas, there are island chains with long sand dunes, swaths of heath and moorland. Dense forests and medieval castles are situated in the rolling mountains of central Germany. 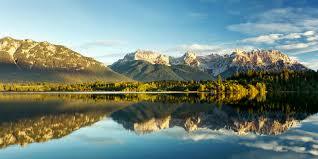 And in the south, the Alps with their sparkling lakes rise above the lowlands. Germany’s economy is the largest in Europe and the fourth largest in the world. 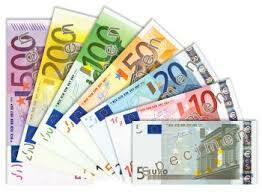 In 2011 German companies exported goods valued at over one trillion euros. Most of Germany’s exports are products made for the areas of electrical engineering, mechatronics, heavy machinery, the automotive industry, environmental technology, pharmaceuticals, and chemicals. Consumers around the world recognize “Made in Germany” as a seal of quality. Germany is home to many trusted and renowned market leaders, such as Mercedes, BMW, Audi, Bayer, Siemens and many others. In the same way, Germany fosters trade relations with partners around the world, German companies also work hard to promote the international exchange of qualified professionals. 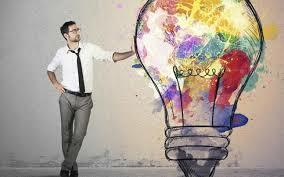 Innovative ideas have strongly shaped Germany’s past and will surely continue to do so in the future. Germany has produced a long list of revolutionary inventions, such as the automobile, the airbag, X-ray technology, Aspirin, the computer, the chip card and the M P3 data compression format. Science and research have a long tradition in Germany and are still highly valued today. The oldest German university was founded in Heidelberg in 1386. The list of German Nobel Prize winners is quite impressive as well. There are almost 70 German laureates in the natural sciences and medicine alone, such as Wilhelm Conrad Röntgen, Robert Koch, Max Planck, Albert Einstein, Christiane Nüsslein-Volhard and Harald Zur Hausen. 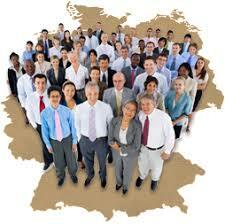 Germany has been a land of immigration since the 1960s. Today it is home to 6.9 million people of immigrant descent, approximately 8.5 percent of the total population. German universities offer excellent teaching and research, ranking among the best in the world. You will earn an internationally renowned degree, giving you excellent prospects in the global labor market.